There are many options today to fulfill your gold portfolio needs, ranging from bullion to rare gold coins. When selecting your gold coins or bars you should ensure you are acquiring the “right tool for the job.” Because each type of gold will provide different advantages, it is important to consult with an expert. American gold bullion coins can most easily be classified as coins minted in the U.S. after 1933. Gold American Eagles and Gold Buffaloes are the most common. They are available in differing weights and commonly range from 1/10th ounce coins to 1-ounce coins. The smaller coins are easier to barter with should you need to. Also, should you need to liquidate some of your gold for a few hundred dollars of cash, having smaller coins to liquidate eliminates the need to sell out of a larger, more valuable coin and perhaps lose out on potential gains as the price of gold increases over time. Gold Bullion can also take the form of bars or ingots, and can be purchased in weights ranging from grams to kilos. Bullion coins are also minted in other countries, and can vary in purity and weights as well. The spot/indicator price of gold has increased exponentially from the $20 per ounce price at which American Double Eagle coins were originally struck! For a free gold information kit please click here. From $20 an ounce to almost $1900 an ounce gold has acted as a store of value; don’t miss this opportunity to add gold to your portfolio! Gold bullion coins are legal tender of the country of issuance, and their gold content is guaranteed. Each bullion coin bears a face value that is largely symbolic; its true value depends on its gold content and the day-to-day changing price for gold. While bullion coins are normally purchased for their intrinsic value, they are also appreciated for their artistic appeal and beauty. Bullion coins are available in a variety of sizes, ranging from 1/20 oz. to 1 Kilo, but the most popular and widely traded size is 1 ounce. A bullion coin provides outright, direct ownership of pure gold, and because it is legal tender, its authenticity is guaranteed by the country of origin. Gold bullion coins can be easily bought and sold virtually anywhere in the world. Among the most popular bullion coins are the Gold American Eagle, the Gold American Buffalo, the South African Krugerrand, the Gold Canadian Maple Leaf, the Australian Kangaroo Nugget, and the Austrian Vienna Philharmonic. Gold bullion can also be acquired in bars or ingots. These bars can be readily obtained in a variety of weights and sizes, ranging from as small as one gram to 400 ounces, though the 1 ounce to 10 ounce sizes are the most popular for individual buyers. There are over 90 recognized bar manufacturers and brands produced in at least two-dozen countries around the world. The manufacturers combined put out hundreds of types of gold bars. Prices for bullion coins and bars are based on the underlying price of gold bullion, plus a small premium, which can fluctuate depending on current market conditions. The underlying price is usually referred to as the “spot price.” The term “spot” is used in commodities trading to denote something which can be delivered for immediate settlement. Typically these contracts are for 100 ounces or more. When considering owning gold bullion, you should be aware that the U.S. has had bans against the private ownership of gold in the past. America has had gold confiscations over the course of our history, including the one which was ordered in 1933 at the height of the Great Depression. In that year, under the authority of the Emergency Banking Act, President Franklin Delano Roosevelt issued Executive Order No. 6102, which ordered all privately owned gold bullion and bullion certificates in the United States be confiscated by the government. In return for their gold, Americans would receive paper money. 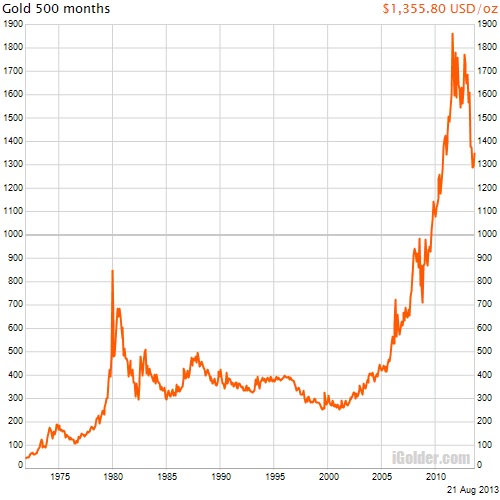 From 1933 until 1974, it was illegal for U.S. citizens to own gold. However, what few people realize is that, when the freedom to own gold was restored in 1974, a provision of the Federal Reserve Act was retained which permitted the Secretary of the Treasury to require individuals to surrender their gold bullion. This action would most likely be started by an Executive Order from the president. To this day, the private ownership of gold is a privilege allowed by the federal government, and not a right granted by our constitution. In addition to gold; silver, platinum and palladium can all be purchased in bullion form. For pricing, availability and more information please contact an ITM Trading representative at 888-OWN-GOLD (888-696-4653). Since gold has been used as a currency for over 6000 years around the globe, there are rare gold coins that span millenniums, geographies, and empires. The United States however, has created her own history when it comes to rare gold coins, and you need not be a historian or a millionaire to participate in this market. Our forefathers penned into the Constitution that our currency be coined of gold and silver, and for well more than a century Americans used gold and silver coins everyday in commerce. In fact, quite often throughout American history, when paper notes were introduced by the government they were shunned by the people. The daily use of gold coins as currency came to an end in 1933 when then President Roosevelt issued Executive Order 6102 effectively confiscating gold coinage from the general public. Those who had gold coins were allowed to keep a certain amount, however stiff penalties of a $10,000 fine or 10 years in prison, or both, caused many Americans to surrender their gold to a specified bank and accept payment in paper money in exchange. Silver coins would also be phased out of circulation in the United States within a few decades to come. These changes would set the stage for a separate market of gold and silver coins to emerge; rare United States minted coins. Being that these coins are not only pressed from precious metals and struck to the very demanding tolerances and purities of United States Mints, when coupled with the fact that far fewer now exist than were originally created, you now have a perfect scenario for the law of supply and demand to work it’s magic. 1-ounce gold coins in near perfect uncirculated condition of very rare dates and mintmarks can commonly command from $100,000 to $1 million or more, and these are coins with a $20 face value, or even less! Not only do the rare coins have the ability to capitalize on their rarity and quality, the United States government and the Internal Revenue Service draw delineations between rare U.S. coins and common bullion. This is just one reason to speak to qualified professionals in precious metals and taxes before procuring a portfolio in gold and silver. As stated earlier, be sure you know what your goals are, and that you are purchasing the “right tool for the job”, not just the “cheapest tool on the shelf”. Rare American coins of gold and silver come in many sizes and weights, from many different mints, and can be had in varying states of wear. All of these factors will affect what you pay for the coin, how rare it truly is, and ultimately, financial performance. The professionals at ITM Trading are not only very well versed in these markets, but because of our superior relationship with coin buyers around the country, we are able to offer graded and sight seen coins that other lesser companies are just unable to offer. You may be surprised at not only how affordable a rare U.S. gold or silver coin can be, but also at how well the coin has performed over time. Should you have questions about purchasing a $20 St. Gaudens piece or a $20 Liberty, or one of the smaller fractional American coins, and adding the value of American heritage to your gold purchase, Please call us at 1-888-OWN-GOLD.